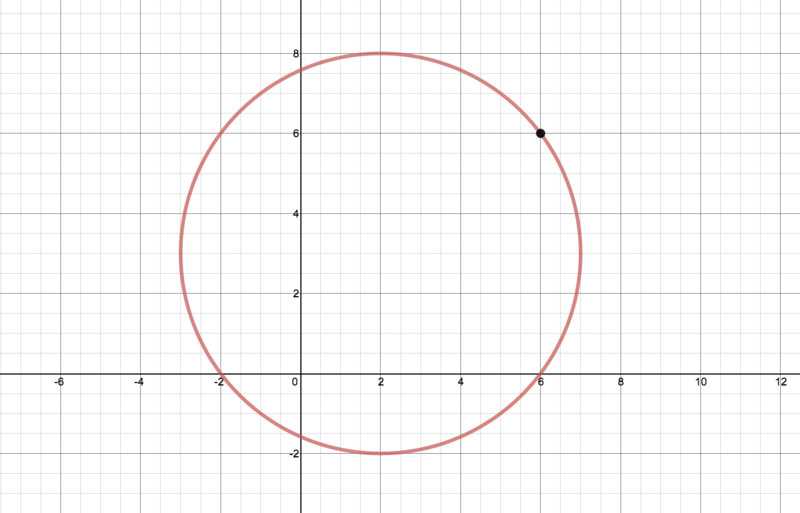 Can you create an equilateral triangle inscribed within the circle shown below with one vertex at the point (6,6), using desmos.com or some other graphing tool? If you’re victorious, leave us a note in the comments when you’re done. Bonus challenge: Add sliders to make the triangle rotate around the circle. Sorry for the spam. I found this site, and I just had to do some of these challenges. Ronan is on fire! No apologies!